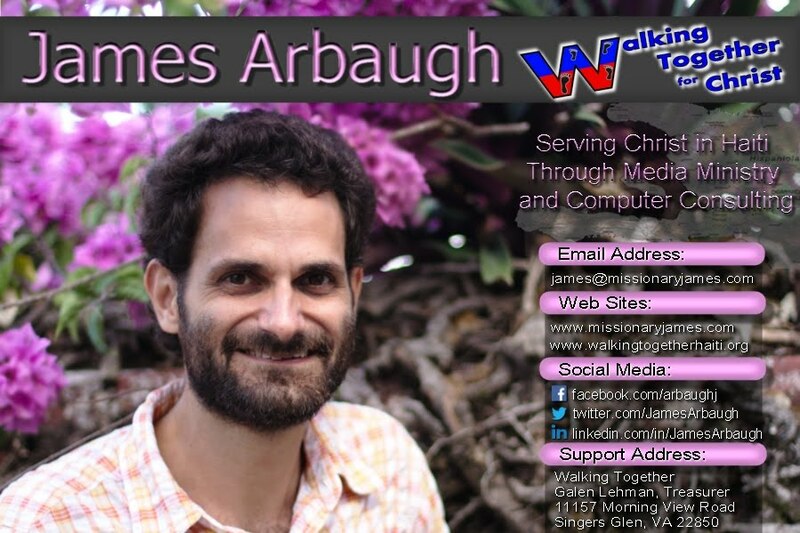 Missionary James: James is now in Port-au-Prince, Haiti. James used his cell phone this morning and left a message, then Joe called his wife, Sharon, but they got cut off. We learned that James met his brother, Joe, yesterday, Friday, (1/15/2010) at the HAS office in PAP. Joe flew into Santo Domingo, D.R. and took public transportation to PAP. The first mission was to find Pastor Alberoi. They learned that the school where he was teaching was searched with120 taken from the crumbled building. (not sure if they were dead or alive) They went to a stadium, where bodies were placed, but did not find his body there. There could be a possibility that he is injured and being treated somewhere. They spent the night with Pastor Alberoi's family. They reported that there seemed to be "goodwill" among the people and they felt safe. Thanks for praying and caring!